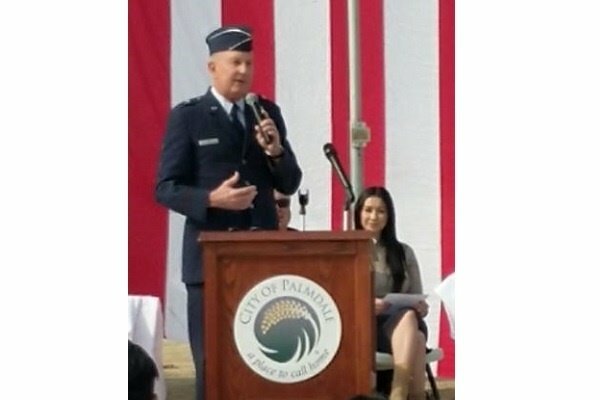 Fundraiser for Palmdale Community Foundation by Gunny Sgt. 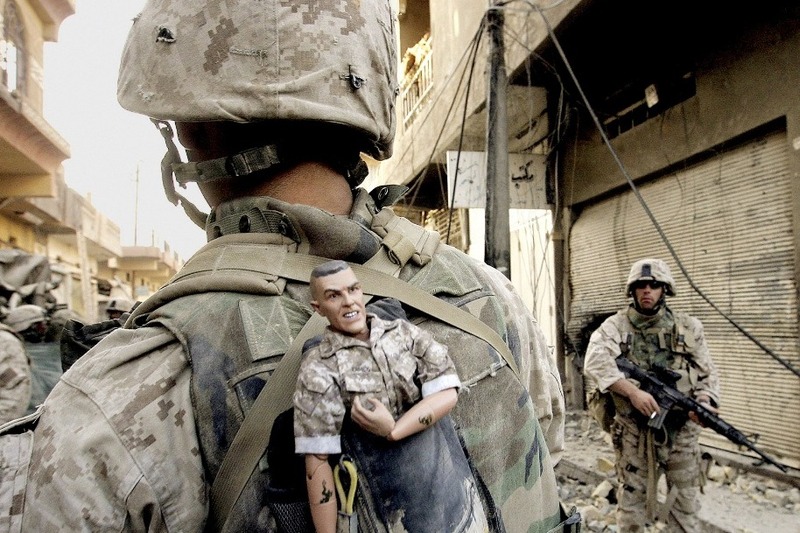 Hartman : R Lee Ermey Memorial Ave.
First and Foremost - HAPPY BIRTHDAY MARINES!!! HAPPY VETERANS DAY TO ALL!!! 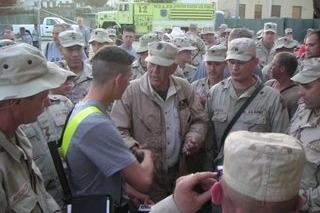 The Renaming Event was a Major Success with Hundreds of people coming to Celebrate R Lee Gunny Ermey. We still need to raise funds for this project. We should now have enough money to change out all the Street signs in the City of Palmdale. THANK YOU TO ALL WHO HAVE SUPPORTED US!!! We still need Money for Lancaster and LA County sections of the Road. (We are starting from the East working our Way West on R Lee Ermey Ave). Looking to make a Corporate or Large donation for a Tax Write off? We can now help with that. 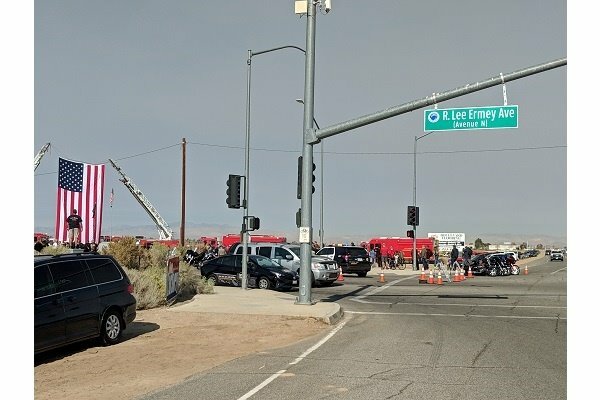 The Palmdale Community Foundation has graciously set up an Account specifically for the R Lee Ermey Street Renaming. 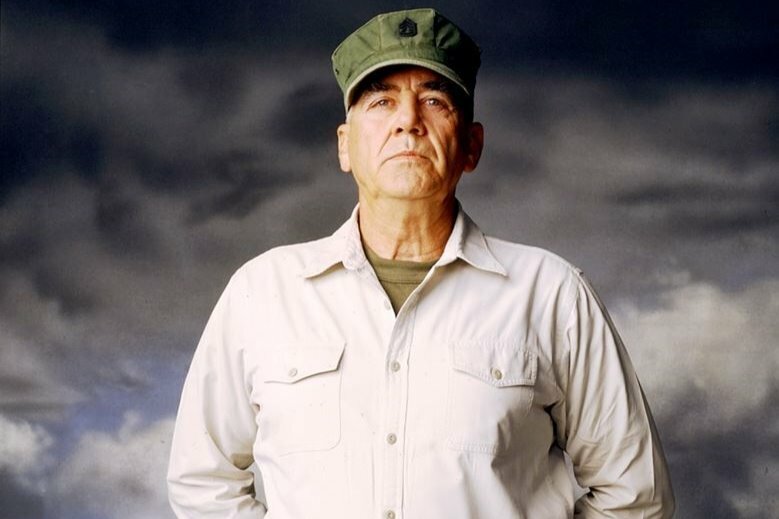 Please Put R Lee Ermey in the Memo Field so that is directed to that account. 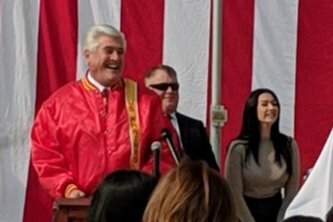 Save the Date: 11/10/18 @ 11:10AM Official Unveiling Sierra Hwy & R Lee Ermey Ave!!!! 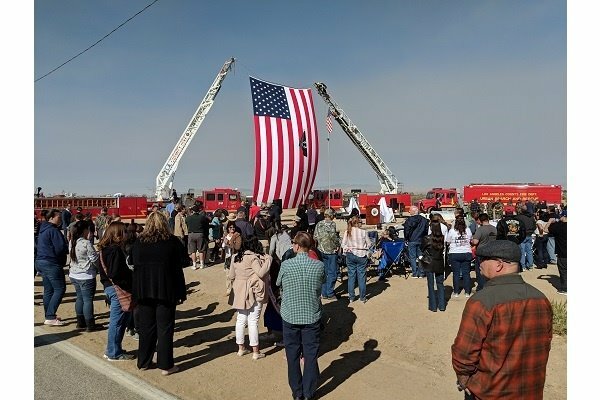 The cities of Palmdale and Lancaster, as well as the County of Los Angeles and Cal Trans, unanimously decided to create a permanent tribute to Our Gunny. 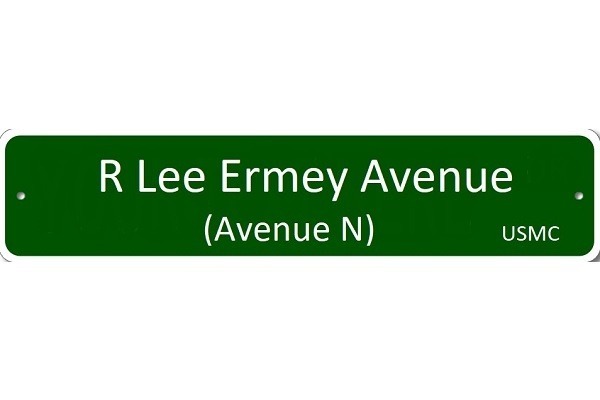 It was an easy decision to rename, Avenue N, a major East/West road: R Lee Ermey Avenue. Even though all four governmental entities have unanimously approved this change, they do not have the money to fund it. Not only do we need Street signs, we need Highway signs, Memorial plaques, and other Roadside signs. The estimate to make this Memorial happen is $150,000. This is why Gunny’s family and community have come together to make sure this memorial happens. 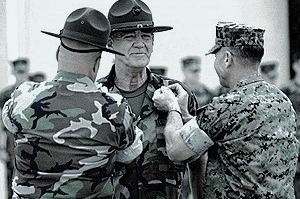 Why is R Lee “Gunny” Ermey getting Honored? 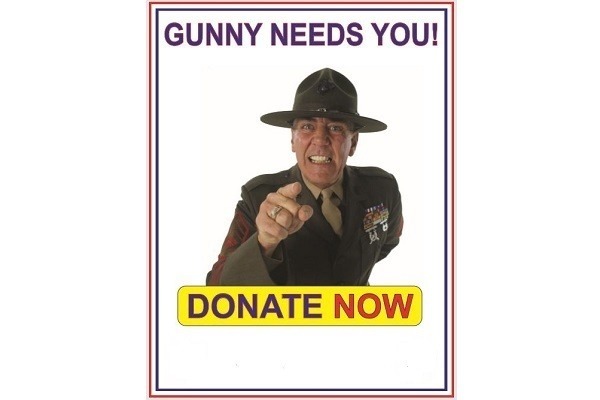 R. Lee “Gunny” Ermey was a not only a decorated Marine, but he was a tireless Humanitarian. 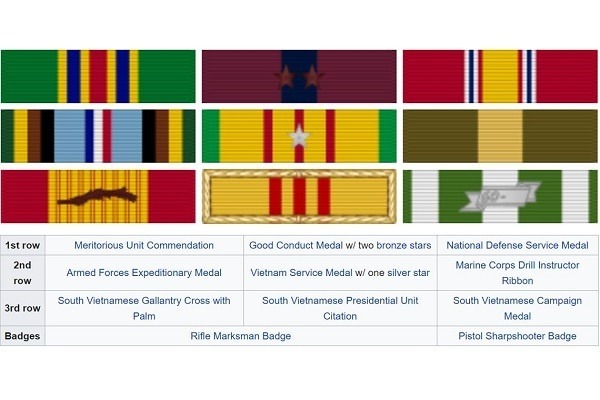 Gunny proudly and honorably served in the United States Marine Corps from 1961 through 1972. He passed on April 15th 2018. 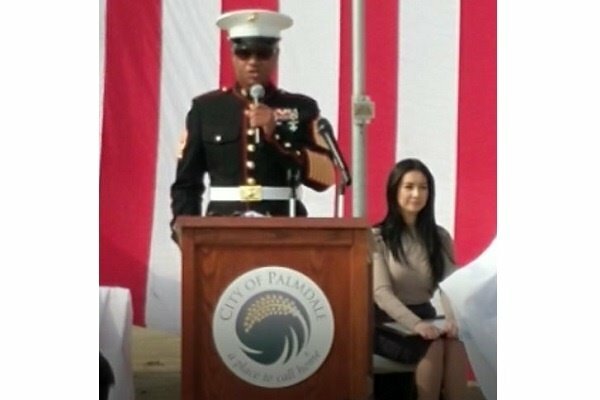 Up until he passed, he was still diligently scheduling events and appearances to support and give back to his beloved Country and Marines. 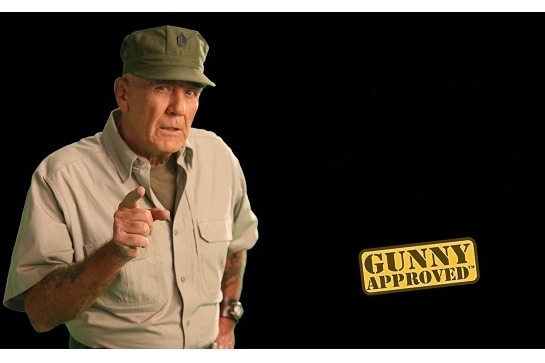 Gunny was a Marine first, but was also an actor, patriot, humanitarian, and most importantly, he was a family man. He was an amazing Father, Grandfather, Great Grandfather, Brother and Husband to his family. 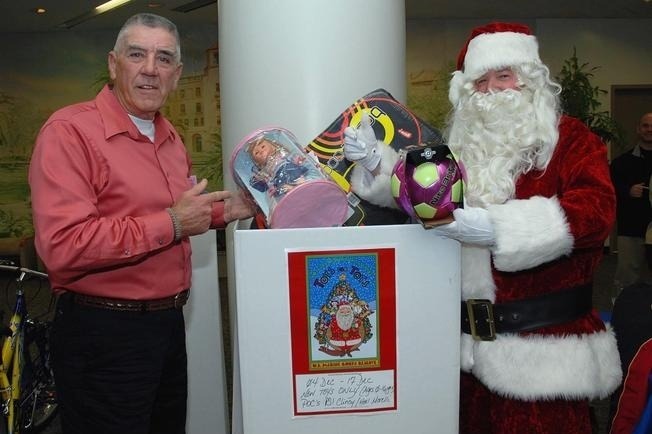 He annually transformed himself into "Santa Clause" for Toys for Tots and helped make wishes come true for The Make-A-Wish Foundation. 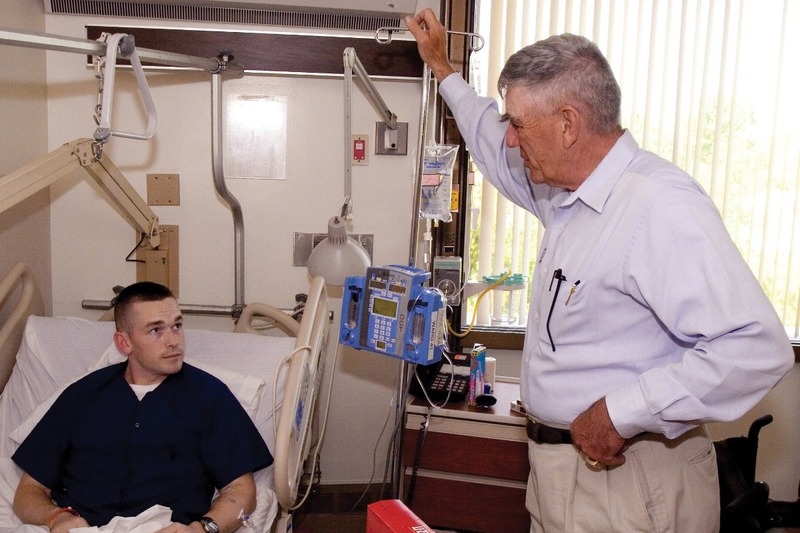 Gunny traveled throughout the US and the world, giving his time and self, to help others. 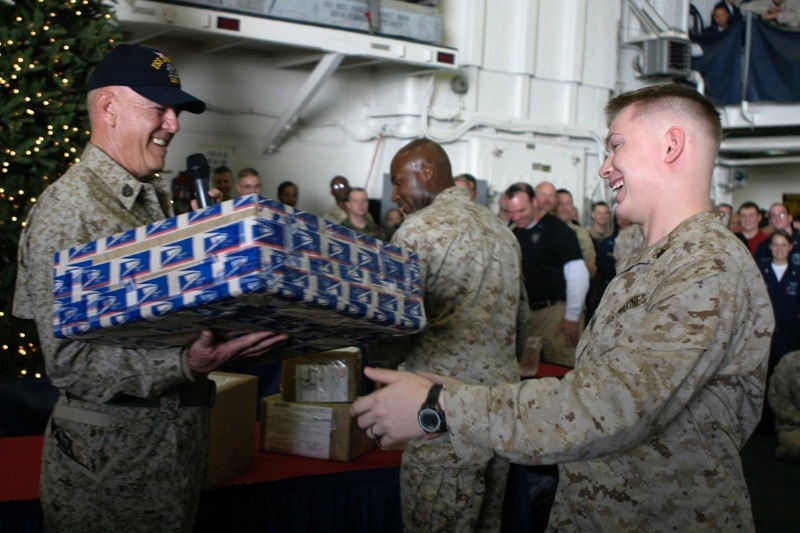 His humanitarian efforts are well documented through his charitable work, pictures, news articles and the stories from fellow troops. 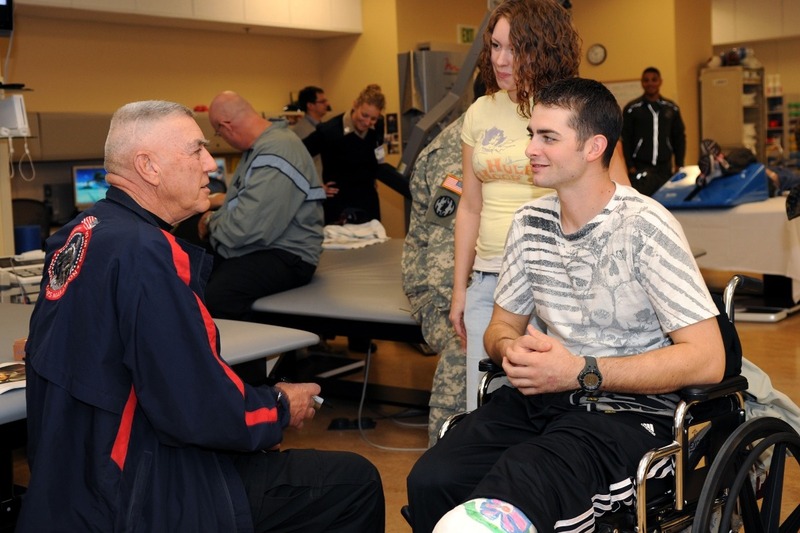 Gunny visited injured soldiers and their families home and abroad, and he did not shy away from visiting the troops in combat areas such as Afghanistan and Iraq. 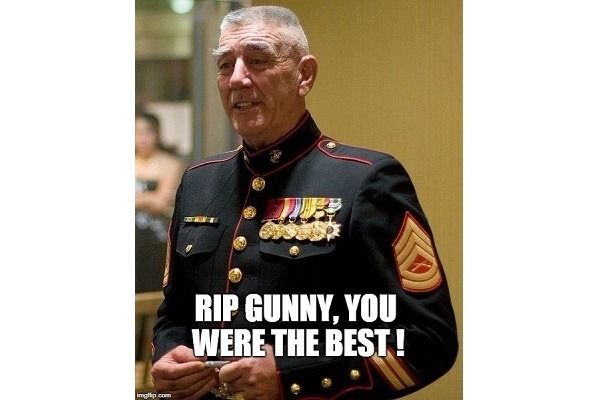 Gunny was a beloved citizen and business owner in the Antelope Valley, located just north of Los Angeles, for more than 30 years. 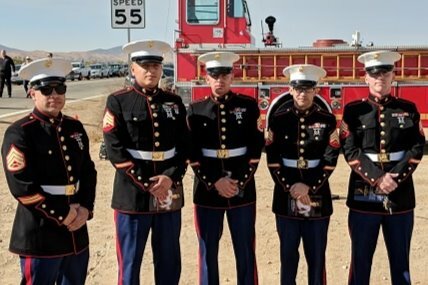 Due to his selfless character, the residents of the Antelope Valley spearheaded this campaign to create an eternal memorial to R. Lee “Gunny” Ermey. ￼R. Lee Ermey and his family lived just off Avenue N for the past 24 years. It was this road that he would take to LAX to catch flights to meet with Troops, Families, Heroes and the Fallen all around the world. After meeting and supporting all these people, it was also Avenue N that he would return home to his family. From 65th St W to Sierra Hwy, Avenue N is nearly 7 miles long and a fitting location for this Memorial Road. Included in this memorial road, R Lee Ermey Avenue, is a somewhat unique “Musical Road” tribute that will play the “Marine Hymn” when driven on. 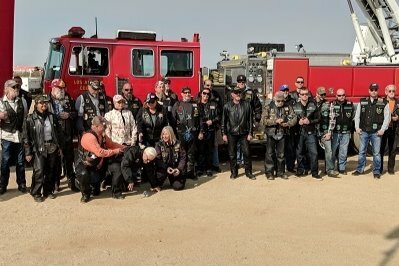 *SoCal Patriot Guard Riders who escorted the Ermey Family. 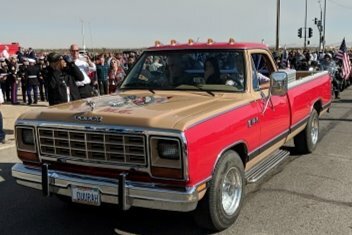 More pictures of the Event on Saturday. We still need your support. See the Main page for more information about the event and now we can have tax deductible donations. 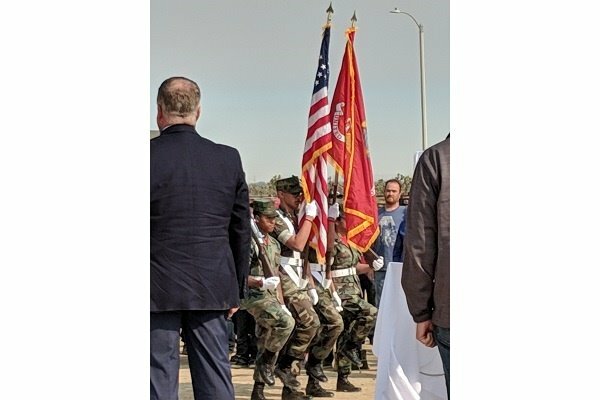 Photos: Betty and Nila Ermey with Young Marines Leaders; Sgt. Major Willie T Ward; Brigadier General, Dr. David Smith. OORAH Everyone!!! The dedication and unveiling was a huge success.. Avenue N was replaced with R Lee Ermey Ave signs at Sierra and 10th St West. 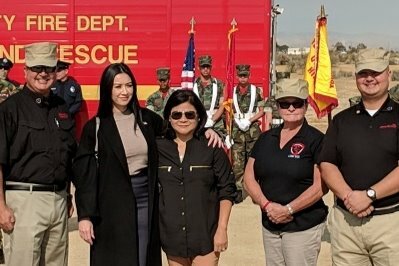 Special shout out to LA County Fire Department. They pulled off a MIRACLE!!! During this week of horrific fire, they were able to get a Black Hawk Helicopter to do a fly over. They also Brought their Garrison Flag and hoisted it between 2 Ladder Trucks. Special guests and speakers including Sgt. Major WIllie Ward and Brigadier General David Smith.